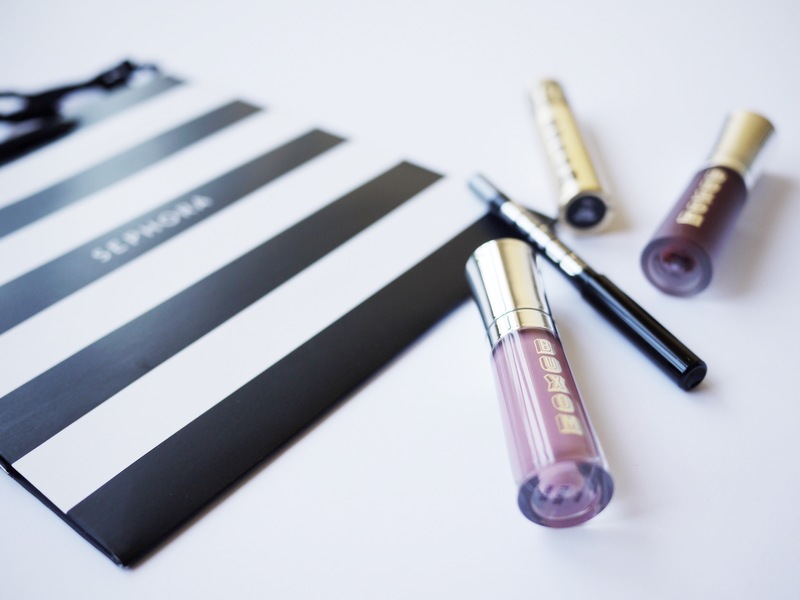 I’ve collected many Sephora points and decided now is as good as ever to redeem them. I went with the Buxom Objects of Obsession set because I’ve heard a lot of good things about their lip products so I want to take this opportunity and try them out. Upon first impression I really like the consistency of the lip products. The mini Full On Lip Polish in Sophia is a beautiful, sheer gloss that gives your lips an extra boost of shine and plump, and the Full On Lip Cream in Kir Royale is a shimmer free gloss that is a perfect color for the season. Since I don’t use lip gloss often I think the minis are a perfect size for me so I’ll be able to use them up before they get too old. Even though my main focus of getting this set was the lip products, I do really love the Buxom Lash Mascara sample I have and am glad I’ll be able to try the Buxom Bar Mascara and have it as a backup. The Hold The Line Waterproof Eyeliner have some mixed reviews online, so I think I’ll have to give it a few test runs to decide if it works for me or not. Have you tried any Buxom products? I’m so glad I got this set! So creamy and glossy!